WCBE stays on the air and remains a strong voice in the central Ohio community when listeners pay for the programs they listen to. Wednesday, October 17, 2012 is the LAST DAY of our fall pledge drive and if you haven’t given yet, it’s important that you give now because its listener support that makes everything we do possible. If you've recently made a donation, thank you! You're the reason why WCBE's on the air today. So far this drive we’ve had great success thanks to Chornyak & Associates, McTigue & McGinnis Law Group, and everyone who’s given by mail, online and phone. But as of 7pm on Wednesday evening, we still need $48,129.50 to reach our overall goal. It’s important to reach our goal because our expenses are directly tied to the cost of providing you a service like WCBE. And, it would be great if we can work together to hit that goal, so we don’t have to interrupt programming after today. Don’t wait any longer to make your donation – give NOW before the drive ends Wednesday at 7pm. We’d also like to remind our listeners that Wednesday is ALSO the last day we’re offering our ‘CBE Special Blend, organic coffee to those who donate $125 or above on a credit card. After today, the coffee will no longer be available as a thank you gift option. Remember: however you choose to give and whatever WCBE item you choose to accept, above all - the most important thing you’ll receive in return is being able to hear the programs you love to listen to on the air for the next 6 months. 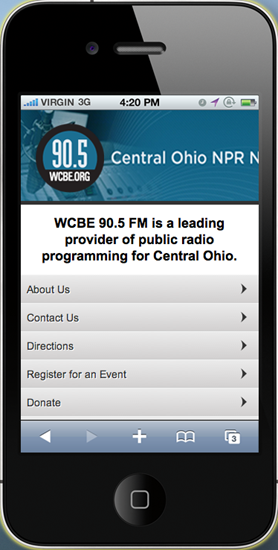 WCBE’s fall fund drive is almost over, and if you haven’t made a donation yet - what are you waiting for? You’re probably busy driving home from work, making dinner, or working out and are telling yourself “you’ll donate, but later”. WCBE has a timely solution for you. As listenership grows, so does WCBE’s membership base. 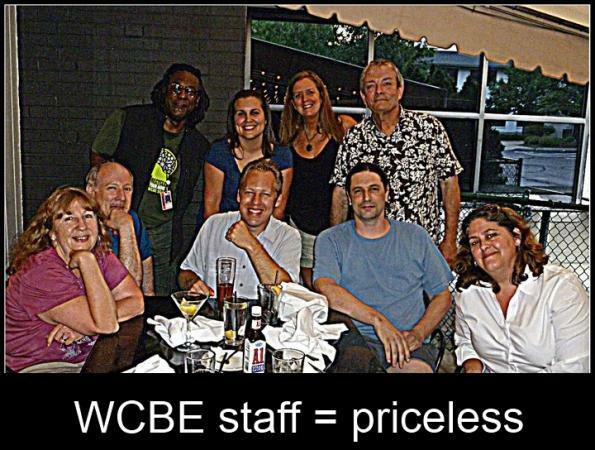 Every listener plays an important role in WCBE’s success and we’d like to keep in touch with you. If ever given a gift to WCBE, then you’re in our database. This week (10/11-10/17/12), you can help us reach our goal by going online to wcbe.org and updating your member profile through our newly released member portal.